There has been huge public concern about the Council's plans because development site 3 includes the Council owned part of the hugely popular Eastern Curve Garden . 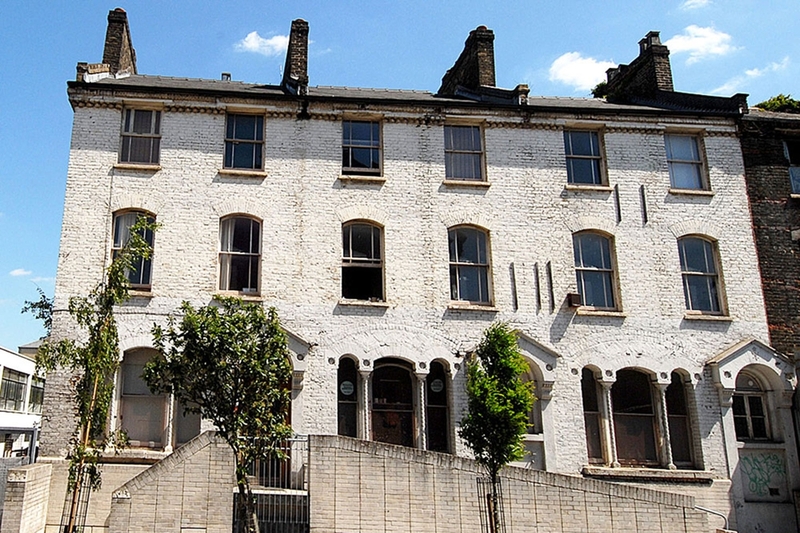 Some fine heritage buildings and affordable workspaces for local community and creative enterprises are also to be part of the Dalston Cultural Quarter deal. We next had a tweet from Hackney's newly elected executive Mayor Philip Glanville. This is what he said. It was great that Hackney Mayor wanted us to "be clear" about the Council's intentions. But how clear was he? He said the Council wasn't consulting the public about developing the Garden. 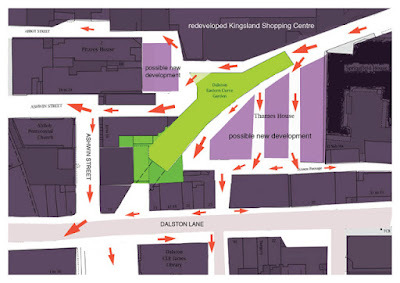 And that Hackney didn't intend to develop the part of the Garden owned by Kingsland Shopping Centre. 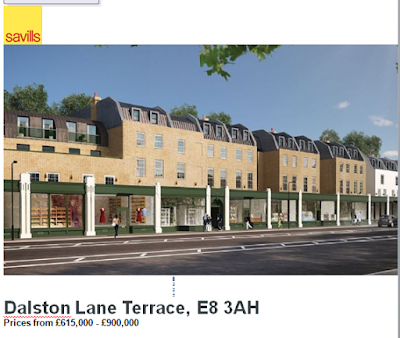 The Mayor didn't deny that the part of the Garden owned by Hackney would be included in the development deal, just that it wouldn't be a "traditional disposal" and that, anyway, it was "a long way off". But if the Council hasn't ruled out development of its Garden land why has it been included as part of development site 3 for a 'non-traditional disposal' at all? Ah - so even if the Garden land is to be part of a 'non-traditional disposal' to a developer we should not assume it will all be completely developed over. 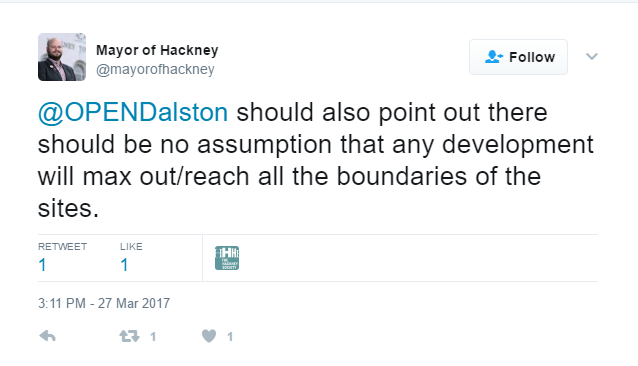 But if Hackney's part of the Garden could be developed on, why are Council officers refusing to consult the public about its future? 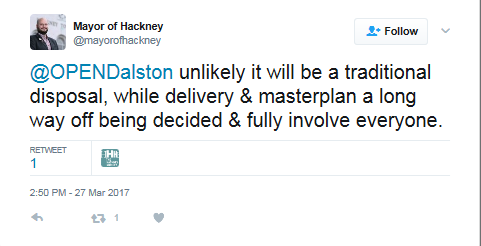 So Hackney is consulting on ensuring the "best of Dalston is preserved" - namely heritage, community organisations, culture and workspace. But what about the only, and much loved, local public green space? The Eastern Curve Garden is, notably, not on the Mayor's list and, as the Mayor said from the start, the Council is not consulting the public on the development of the Garden. What is clear is that the Mayor has failed to deny that the Garden could be developed as part of the Council's Cultural Quarter plans. 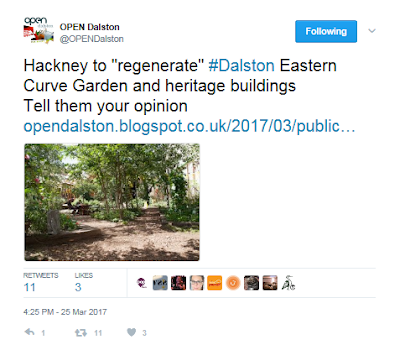 Why is Hackney misleading the public about Eastern Curve Garden? 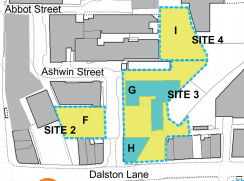 Hackney Council is consulting on its principles for development of four sites in Dalston town centre. The sites have been designated as a "Cultural Quarter". 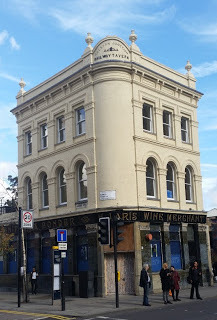 All are owned by the Council including part of the Eastern Curve Garden (including its entrances, pavillion and hothouse), heritage buildings and two vacant building sites. All the buildings and land are presently occupied by creative, community and charitable enterprises. The Council's stated intention is to "maximise regeneration benefits" and to "maximise capital value and rental revenue for the Council"
The public consultation closes on 17 April. 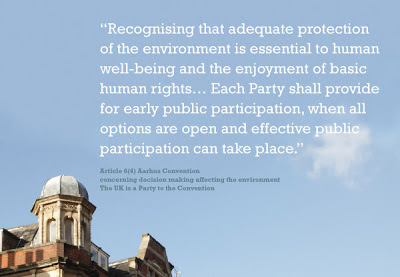 You can read OPEN Dalston's analysis and responses here and a summary below. We hope that these will help inform your views and responses to the Council. You can read the Council's consultation documents here. You can tell the Council your views here. a. 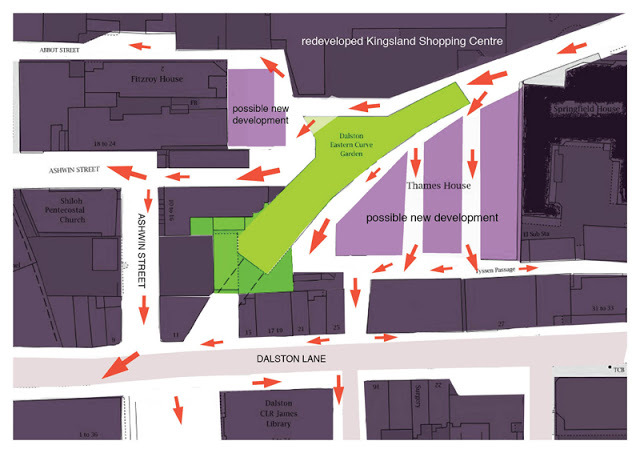 Development will not be permitted within the Dalston Quarter which would compromise the existing extent, bio-diversity and continued use of the Eastern Curve Garden and its facilities as an enclosed, secluded and financially sustainable community garden with free public access.The Eastern Curve Garden will be designated as Local Green Space and afforded protection from new development. The Council has designated the Eastern Curve, including the Garden, as a hard surfaced public thoroughfare ("shopping circuit"). This image shows that, working with adjoining sites, there are plenty of other opportunities for interesting pedestrian routes through the area without compromising the Garden. These are the last surviving pairs of Georgian houses at 18-22 Dalston Lane. 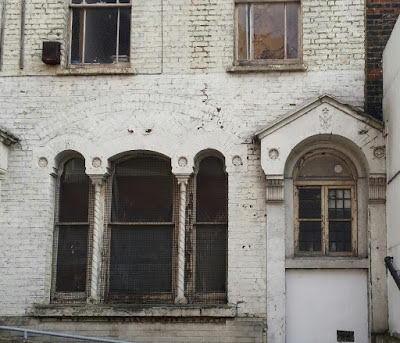 All the others were demolished either for redevelopment purposes or due to historic neglect. The buildings Ashwin Street have had a historic association with the visual and performing arts since 1870 and are still fully occupied by artists and other creative businesses today. Extensive work to these, and the other buildings, and higher rents, could see the existing uses permanently displaced. 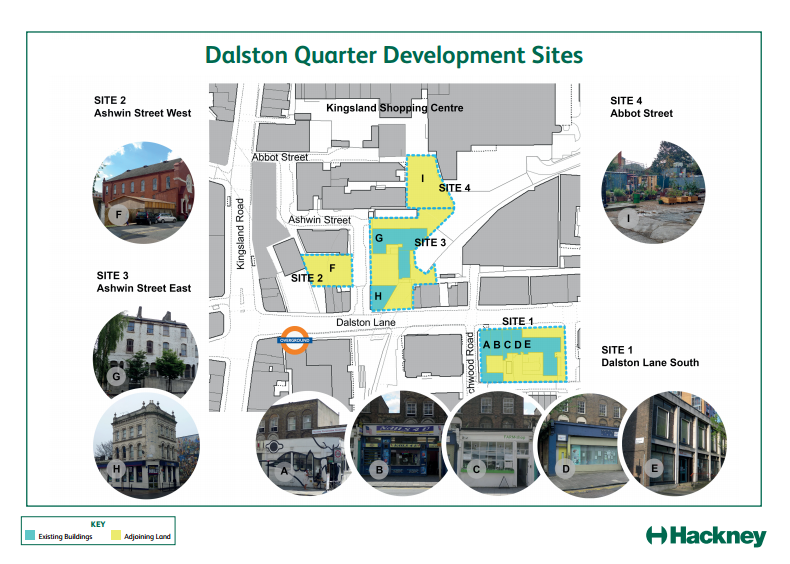 The Council's public consultation closes on 17 April.You can read OPEN Dalston's detailed responses here We hope that these will help inform your views and responses to the Council. You can tell the Council your views here. 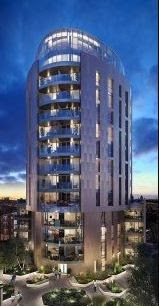 Alternatively try Mansion Global USA who are seeking off-plan overseas investors for the new Kingsland tower. "Dalston with a view" flats are offered at prices from £470,000 to £1.5million in London's "trendiest district" with "views of the Shard". 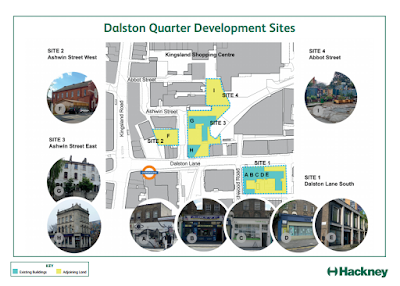 When Hackney launched its public consultation proposals on 25 February, for development of Dalston's "Cultural Quarter", there was immediate public outcry. 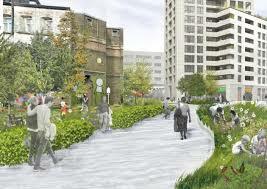 Our much loved public Garden is included within development site 3 (Ashwin Street east) for "regeneration". 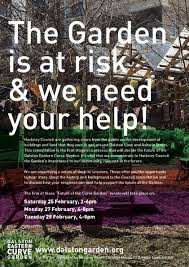 An SOS was issued -" The Garden is at risk and we need your help!" - and local people are coming in huge numbers to see what they could do to help. 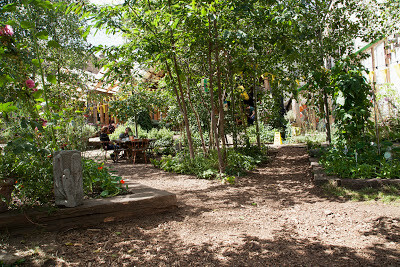 The Garden was included by the Council in development site 3 from the outset. Hackney's Regeneration Czar Councillor Nicholson explained this was because "the next stage is...engagement with the local community to explore initial options.....the inclusion and consideration of the future of the Garden...as part of the potential options for delivery of the Quarter, is important to explore and confirm how the Garden may be treated going forward"
So the Garden is included in site 3 for "consideration of the future". 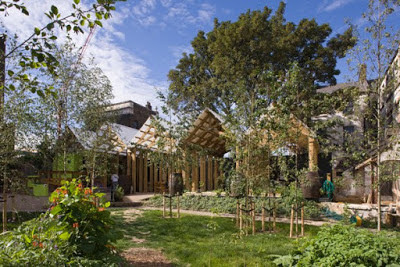 But on 1st March Hackney's Press Office issued a statement that "The Garden isn't included in the consultation" and when people attended CLR James Library, to comment on the plans, they were informed that the Garden "was not part of the consultation". In other words, Hackney is not interested in hearing the community's views on "how the Garden may be treated going forward" - only about how site 3 could be developed regardless of compromising the Garden's future. But that's not the only example of Council misrepresentation. Fronting 10-16 Ashwin Street is a fine Victorian terrace “built as houses of quality” designed by the noted architect Edwin Horne in 1870, who also designed the Reeves Artist's Colourworks (home to Arcola Theatre and Cafe Oto). Behind it is an 1870 factory built for Tyer & Co., who invented railway telegraph signalling.